Ira Wagler is an excellent story teller. 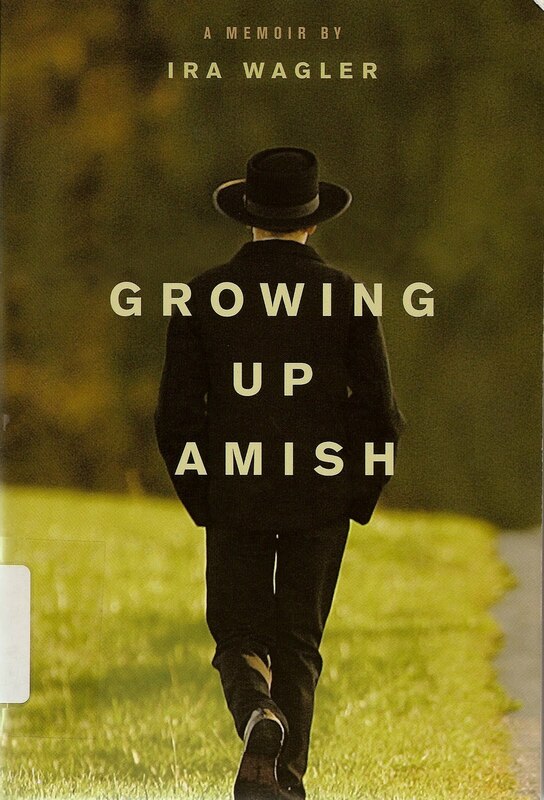 Born into a small Old Order Amish community, he documents his growing up years in the community and explains how it was that he came to leave the Amish in his late teens/early twenties. The majority of the book focuses on him wrestling with wanting to leave the Amish but always coming back. On the whole, he left his family five times before making the final decision to leave at the age of twenty-six. He explains the family chaos and pain that he left in his wake, and how he spent a great deal of time wondering where it was that he belonged in the world. "Those who were born in the faith had better stay, or they would surely face a terrible Judgment Day. That's what we heard. What we were told by our parents and what we heard in the sermons at church. But they never explained why. Why we were special. Why we alone knew the only true path. Only that we were and we did. I do think his parents, if they had half a desire for Ira to stay within the fold of the Amish, should have taught him the reasons behind what they believe. When you fail to explain your faith to your child, do not be surprised if they walk away from it when they grow up. Why should they stay with it? They do not know why you do the crazy things you do! Talking, sharing, nurturing, walking with them on the journey - all of these are important things. But really it is God who calls and so those of us who do follow in the footsteps of our parents would do well not to boast but should merely be thankful. It should fill my heart with joy that God has seen fit to call me His own and I should live mindful of that gift. Which leads me to point number two. #2 - Ira painted a pretty grim picture of the Amish. They don't sound like a very fun crowd. He explained that every Order is different from another. He says at one point that even the Amish think that other Amish are weird. Some Orders or groups of Amish are allowed to wear buttons and have phones and mustaches. Others are not. I guess I always just assumed that the Amish are all alike but Wagler goes to great pains to explain that there are indeed differences and that for a young man, one group might seem far more oppressive than another. We aren't designed to be recklessly joyful, glorying and exalting in superficial things. But salvation in the Lord is most definitely not superficial and knowing that we have been redeemed should fill our hearts with joy that is overwhelming and overflowing. If we walk about morose and angry at the world, why should our children find our faith appealing? What about our faith would be so, to them or anyone else? I don't know about you but I really do not enjoy the company of myself when I'm in a bad mood and I certainly am not inclined to seek out the fellowship of people who are perpetually down in the dumps. That grows wearisome and I can't imagine that children of Christian parents who walk around acting as if God is dead are going to be convinced that Jesus rose and was victorious so that we might also live. I'm still "munching" on this book. I do think it's a winner of a story and would heartily recommend it to anyone. If nothing else, it offers curious insights to the Amish culture that you might not have the opportunity to learn about otherwise. As a final note: this book really makes for some great discussion in a book club setting. If you're looking for a good suggestion to make for your group, this is a great one! 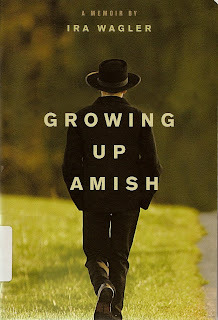 If you care to read another opinion on this book, I'd point you to Tim Challies' review of Growing Up Amish. Hmm.. I wonder if the reason his parents didn't tell him WHY is because they didn't know. They were just following the rules and lifestyle that they had been taught. I think I'm guilty at times of focusing on getting work done and training my kids and forgetting to have fun and enjoy the process. I'm a little afraid to think of what my kids will say about my parenting when they are grown! Though from some of our conversations, it seems that she either 1) is not comfortable/capable explaining/defending the WHY behind a couple of questions or 2) hasn't really questioned too much herself. I wonder if it is 2)...she seemed to indicate that we just can't know some things. Whether good or bad, I have not pushed her in my/her faith. I kind of felt that she closed the conversation. Will keep praying for opportunities though. I know of other Amish who have lost multiple sons to the English. I kind of want to copy this out and share it with my friend...but I think I will just through conversation. I've been wanting to read this one for awhile now! While I don't share the same beliefs as the Amish(obviously), I'm still so curious about their lifestyle. I long for that simplicity! But, I know there's more to them, that the fictional books don't always tell about. OK, I left a long comment but it disappeared. 1) One branch of my family is Amish/Mennonite. "Leaving" includes going to another branch. If my children are Christian, I'm happy. I don't necessarily expect them to make the same denominational/worship choices I do. 2) The Amish don't have ordained clergy. I think this results in a transmission of culture more than Biblical knowledge. 3) I am SO glad I'm not Amish. I'm very much of the "live in accordance with your values and beliefs" persuasion and believe that most decisions are permissible, so why have them dictated by a bunch of rules down to whether you can put a safety triangle on your buggy? I've had a draft of a post sitting around for a while about the plethora of Amish fiction and how I don't think the Amish life is as idyllic as many seem to believe. I've pretty much read just Beverly Lewis's books, and she clearly explains that for most of them it is a works-based, not a faith or grace-based religion, and different Amish churches can vary widely on what they teach and allow. Though her books are based on her grandmother's experiences, it would be interesting to read a true account of an actual person struggling with these issues. BTW, I do agree with the list of things you learned -- valuable lessons. This book interests me mainly because of the whole long line of Amish fiction that in many, many way claims Amish living to be so much more wonderful than the more common approach. I also really like books that pull back the lace curtain and reveal the truth...at least the truth as one person viewed it. I enjoyed reading your thoughts on the subject, and I'll be watching for this book because I know I would enjoy it. Their very way of life REQUIRES that an extremely high percentage leave. They practice subsistence farming, and do not make enough money to buy additional land for the next generation. They have large numbers of children. Something has to give, or there will not be sufficient land for each of the children. Since the men (for the most part) are the breadwinners, they are the ones who must leave. As for the daughters, presumably, if they stay, a high percentage remain unmarried, as there are insufficient men to go around. This is analogous to polygamist sects, where the young men must leave, or there are insufficient women for the older, wealthier men to marry as additional wives. 2. I laughed for DAYS thinking of you making gathering motions and saying "Rules! Rules!" In fact, I'm laughing as I'm typing this! Hmmmm. . . I read a book a few years ago about a girl/woman leaving her Amish roots/family and marrying an "English" man. Very interesting but also very sad. We live about thirty minutes away from an Old Order Amish (?) community. In fact, the picnic table we got for Christmas was made by one of the families. Very interesting and convicting, to think that I'm NOT communicating the joy of my faith like I should. Sigh. I used to read a lot of Amish fiction, some more well written than others! ;) But it all seemed the same and rather fake. This sounds like a very interesting book. When I was in grad school there was a show on during the summer called Amish in the City and I watched it religiously (it was a reality show). I thought it gave a decent perspective on their life although the college age kids in it were in there "rumspringe" time. I definitely hear you on wishing for more simplicity at times, but I think I would have a hard time with ALL the rules! And I LOVE the conversations I'm beginning to have with Cory about life and religion and things. Just today we were talking about Hannakuh and why we don't celebrate it because we're not Jewish... you can see where this is going. And all from a stamp he saw on the wall at the post office! Fascinating review. Thanks for bringing this book on to my radar!